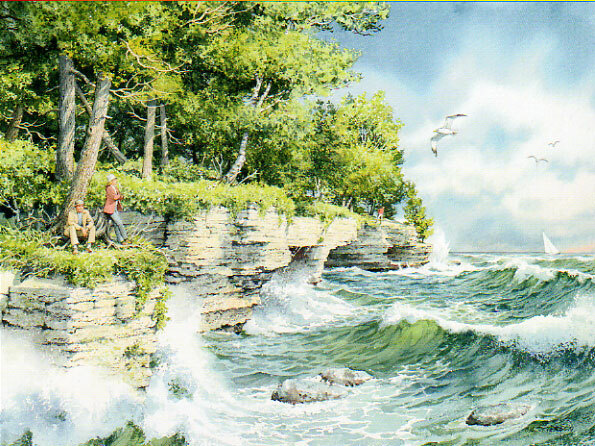 After millennia of erosion by the waves of Lake Michigan, the escarpment at Cave Point has become one of Door County's major attractions. I have been among the countless visitors who have enjoyed its endlessly changing moods ranging from robust, gale force winds to an idyllic summer calm to frigid, ice crusted winter. "A Windy Tuesday At Cave Point"
" A Windy Tuesday At Cave Point "